I sat down today and started planning. I usually do New Year's resolutions and this year I did not. I am optimistic for the New Year and that was enough. Of course, I don't live without my paper-and-pen planning books, and once I have planned projects for the week, months and year(s), I break down what is to be done in the next couple of hours and go to it...List making is like a dangling carrot in front of my nose and I live to cross stuff off my list. If I am particularly do-less on a given day, I will write down the basics: think, moodle, get out of bed, eat breakfast, and then plan still more projects, as my body is still unwilling to move. If lists are done correctly, it is still possible to cross many items off my do-list for the day and still feel productive, despite it all happening in my head, without taking a step. Asthenia is the clinical term for a do-less-ness where if someone set your chair on fire, you would have to think about taking action versus taking any. Some say it is a sign of depression, but with a Vit D level of five or six, by design of my present treatment, it is simply a lack of chemical inertia! I still have the desire to create, but have the resistance in my body to overcome. I give myself double credit for attempting anything, and have found that starting a project is to have it near completed. Completing what I have started is yet another issue. Starting projects has always been more fun than finishing them. I love to cut and so whenever I do, I pull materials out, stacking them high and cut multiples out of everything. Mundane activities can be like a yoga exercise and very relaxing. Add color and texture to this play and it is a bit like ecstasy, and I am not talking of the drug...but rather that focus that takes you right out of this world and into another--an in-the-zone sort of creative pleasure--lost in fabrics and color and design! Sewing is fun too, especially the factory sort....and counting and crossing items off my do-list fits with this mentality! One fleece sock and then another and another and another....one check, two checks, three and so on. I am a hard worker, and with fun TV programs to watch as I sew, suddenly my day is gone and with it the reward of checking many things off my perpetual and eternal do-lists. 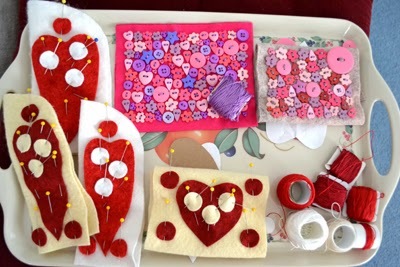 As I push to finish my Valentine creations in the nick of time (once again) for the holiday, I realize that sometimes my art work becomes more like being a factory worker, an image that despite my pleasure of sometimes being like one, I actively choose to avoid!! After a friend's visit this week I have had other thoughts and woke this morning my mind whirring, planning and calculating! I was excited about making many quilts, and jokingly told my friend that I wanted to make as many as one a week....mind you I finished only one that was already started this last year in addition to doing my Little House creations to sell. Clearly, my asthenia cloud had temporarily lifted and I manically pictured myself as having the energy I had when I was a twenty year old. 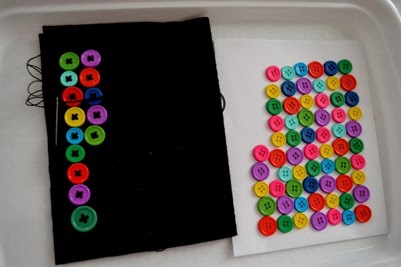 She smiled and said that she figured that it takes her one hundred hours to make a quilt from start to finish as one year she made a quilt using set hours in the day so she could easily calculate how long it took her. 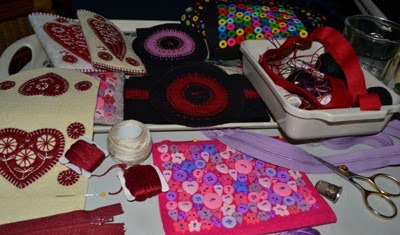 She then gave more detail to say that this included machine stitching the pieced top and finishing it with hand-quilting. My daughter has told me to do time studies on my work and it has become a screaming and hair pulling issue rendering only tears and heartache later. "I don't want to consider myself a Chinese factory worker!!" I would shout back to my daughter...."I am an artist!!" and the thought of counting the time it takes me to complete a project is depressing. I know that she is right, as that is truly part of being in business, but I fight her in fear that time studies would prove that I am earning pennies per hour and who would stay in business with such a reality! My pleasure in my art work is doing what is fun to do, provided I match the state of my body with the day's activity. Sometimes planning or cutting or machine or hand-stitching all day as I watch a whole season's worth of a particular TV program, or listen and learn about the current events of the present or past is to know the pleasure of hard work! 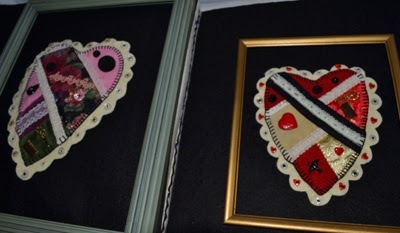 I create best when I do it out of love of fabric and discovery and not figuring my time counted as money. My daughter, I realize, sounds like my dad. . He was an engineer and figured everything on his slide rule, cold and calculating and practical and would have banned crayons if he could have! Sadly, he didn't have a speck of artist in his brain or fingers and is likely why I have had a career in nursing and teaching before settling into doing what I have always loved! I confess I am mathematical too, and calculate with my do lists...what can I get done and how long, but with my health issues every day is different. It is enough to drive many of us with this disease crazy and give up on being productive! Counting on my body when it can't be counted on is part of the challenge of living in my body. But still I figured 100 hours/quilt means that I could do 14.6 quilts a year working on them only 4 hours a day! And working on quilts for only 2 hours a day meant 7.3 quilts a year could be easily done on the side of my Little House pincushions, socks etc. and naps included!! I smile, remembering that my mother had always said that she was Chinese. Her sisters had told her so, as one out of every six born in the world in her day were Chinese. She was the sixth born child in her family and had rather narrow, squinty eyes. Her sisters delighted in finding opportunity to tease her as children do. She grew up to become a teacher and in her first year of teaching she heard one of her students tell another student that she had the new Chinese teacher, referring to my mother. So there you have it: being my mother's daughter, I am likely Chinese too, and counting how many quilts I can make, just like fleece socks and pincushions...one, two , three, check, check, check...I am becoming a Chinese factory worker after all! And perhaps knowing how much I can do will be fun instead of limiting...and about the money...well, it never was about the money, only the love of designing and creating...and the rest are simply tools to get past my built-in inertia! P.S. My husband's previous job took him to China on business and he assures me that I don't come close to producing what a Chinese factory worker produces. My respect and admiration goes out to them, and I wish I could produce even a fraction of what they produce!In my imagination, perhaps I will come close! ?